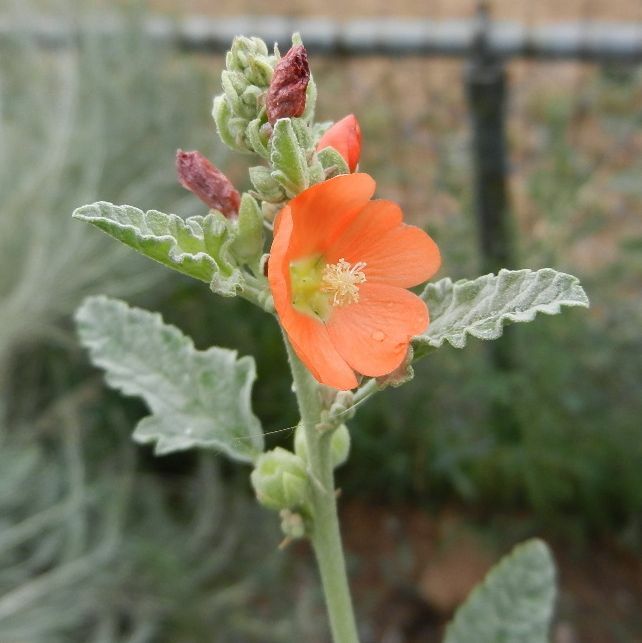 I confess to being slightly disappointed with the flowers of Sphaeralcea fendleri var. venusta, which is blooming here for the first time. To me, venusta signifies something really pretty, you know, Venus, venusta, but in this case it’s just a pinky-purple sphaeralcea. Not that there’s anything wrong with that. I never met a sphaeralcea I didn’t like, and apparently Kearney, who described this in 1935 from a collection made in 1881 by Cyrus Pringle, most likely in Chihuahua, thought it was a beauty. 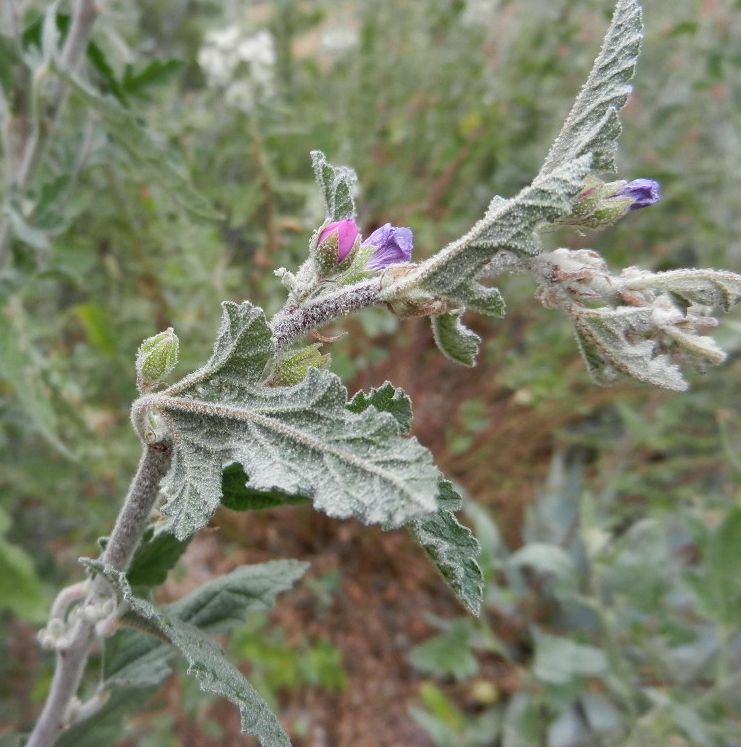 My plant was grown from seed collected in Pima County, Arizona, and obtained from Southwestern Native Seeds and forgotten for a few years until I decided to do something constructive and sow the seed, two or three years ago. 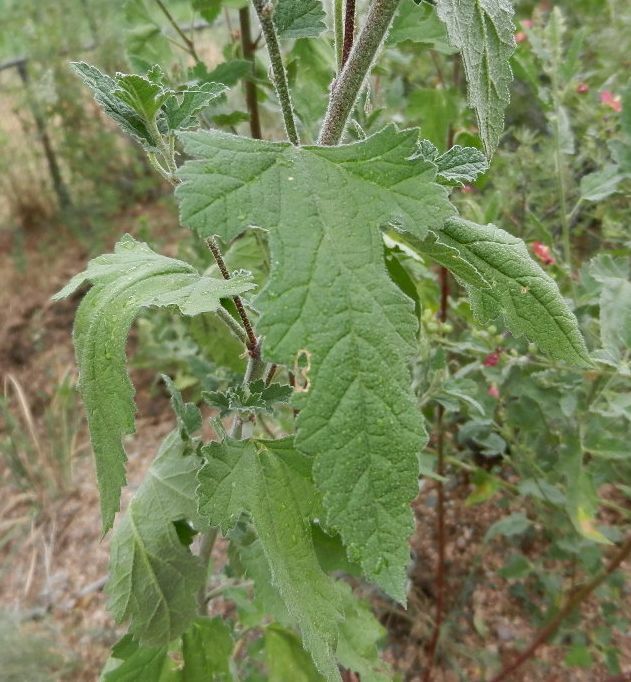 Sphaeralceas are mostly identified by the leaves, and, in this case, the variety is also characterized by extra downy-hairy stems and leaves. The leaves almost glisten in the sunlight (but not today). Of the tall sphaeralceas, I particularly like S. incana, which I personally would have called venusta if I’d seen this one first. (The only reason I mention this is that it’s growing about ten feet away from S. fendleri, and it occurred to me to take its picture.) Reminds me of a creamsicle. I looked up–getting carried away here because I’m hungry–the creamsicle, which I think started out as just the orange one, and it turns out that National Creamsicle Day is the 14th. Oh, mal de ojo. Here I am going on about creamsicles, and I completely forgot how this started. My Spanish is at least as good as the dog’s, and I thought mal de ojo meant “evil eye”, which would be fairly cool, but according to Kearney and Peebles in Arizona Flora plants were used to treat sore eyes (maybe that’s where the venusta comes in …..no, never mind), and are called “sore-eye poppies” by some people. Arizona Flora also notes that “several of the species flower in spring and again after summer rains”, and I can imitate that, sort of, with summer watering. Which I’ve been doing, since I wanted to see if something called venusta, which seemed to have no intention of flowering otherwise, might live up to its name. 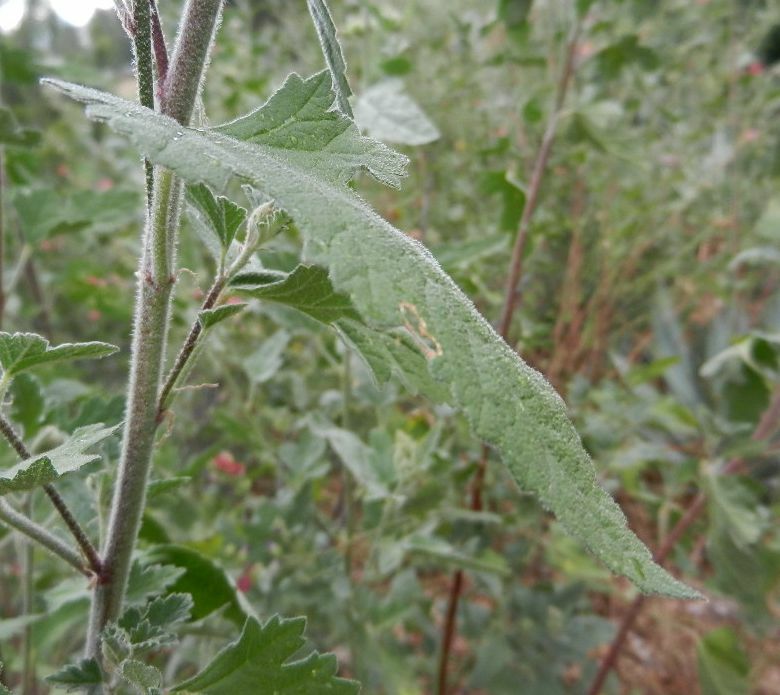 No wonder fendleri wilts here (the uppermost leaves) during the heat of the day. I’ll have to plant an open pine forest. 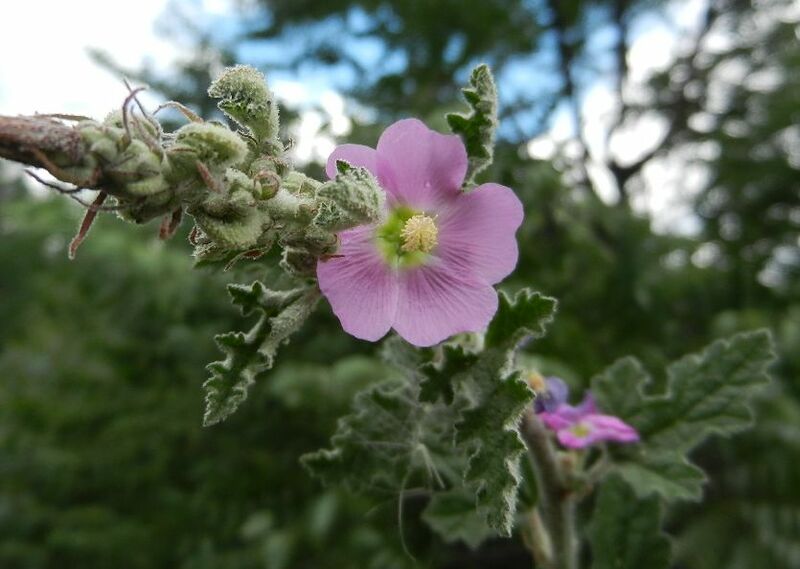 This entry was posted in Uncategorized and tagged Sphaeralcea fendleri var. 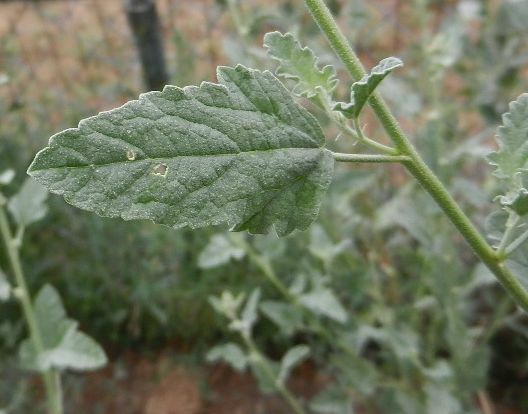 venusta, Sphaeralcea incana. Bookmark the permalink.